Howdy, friends! 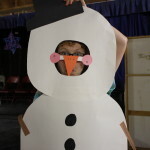 Olive Oyl here with a quick winter update for you! Maybe you’re experiencing the first snow of the year or hearing Christmas music at the grocery store, either way, it’s pretty clear that winter is on its way and that comes with all that fun holiday stuff! And just because camp is over the summer doesn’t mean that we can’t partake in the holiday cheer! 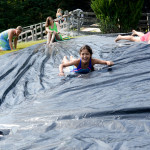 Of course, there’s the slip n’ slide, similar to what we call “sledding” in the winter, except at HVC, we’re in our bathing suits and there’s no need for a sled. And how could we forget our amazing counselor Elise, under the guise of Santa, doing her incredible singing without opening her mouth? We heard a beautiful rendition of Jingle Bells this past summer. 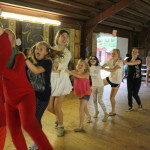 And we also had the Winter Wonderland dance this past summer, featuring snowmen and Christmas trees, and conga lines. What could be better? 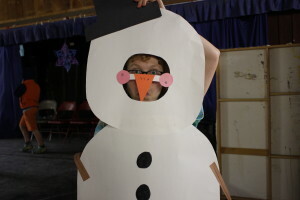 I hope you’re all keeping these wintertime-in-the-summer memories in you head this season to keep you toasty and warm!